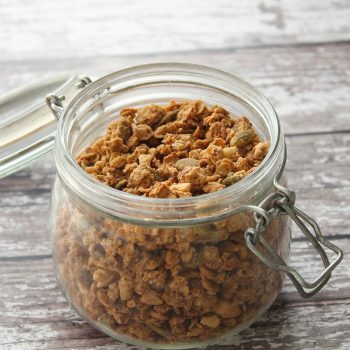 I love anything involving peanut butter so I’ve been making this super simple low FODMAP granola for so long but for some reason have never shared the recipe! 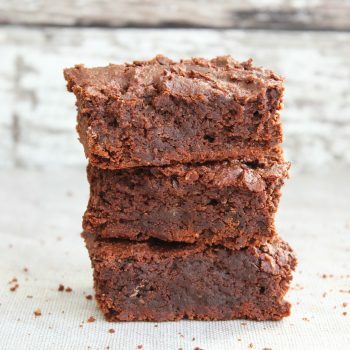 This super simple gluten free, low FODMAP, dairy free recipe is a must try for any of my fellow chocoholics. They are perfect heated slightly and topped with melting ice-cream! 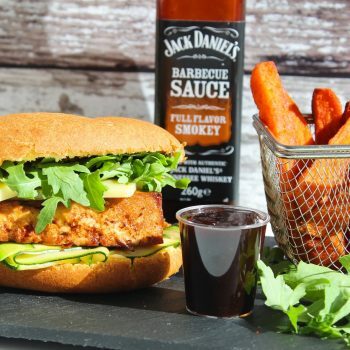 Try this super simple gluten free tofu burger recipe featuring Jack Daniels BBQ sauce! Peanut butter, jam and chocolate are a winning combination so you can probably guess how delicious these no-bake bars are! They are gluten free, low FODMAP, refined sugar free and vegan. I think these indulgent treats speak for themselves! They are comprised of a gooey, chocolatey brownie layer topped with chocolate chip cookie dough. So if you can’t decide whether to make cookies or brownies then why not make both? As delicious as it is to make your own pesto, sometimes it’s so much more convenient to find a decent shop-bought brand! The Sacla Free-From Basil Pesto is so flavoursome and versatile, which works perfectly in this super simple pasta recipe. Ready in around 20 minutes this gluten free and vegan recipe makes a great weekday meal choice, especially if you’re looking for something to enjoy during Veganuary! Just in time for Veganuary, these porridge squares are so simple and easy to prepare and make the perfect on-the-go breakfast or snack option. Chocolate, banana and peanut butter are one of my favourite flavour combinations so it couldn’t get much better than this! I love them served with coconut yoghurt and fresh berries for breakfast. Chocolate and chestnut are an amazing festive flavour combination, these indulgent tasting chocolate bars are proof of that! This super simple gluten free, low FODMAP cookie recipe reminds me of the crunchy ginger biscuits I loved when I was younger!